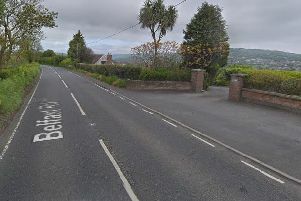 The TUV’s East Antrim candidate councillor Ruth Wilson has welcomed the installation of a connecting path between the Walnut Road bus shelter and local homes to improve access for local residents. Mrs Wilson commented: “Having been in contact with statutory agencies and the developer since December 2014 about the situation faced by residents off Walnut Road I greatly welcome the fact that, belatedly, progress has been made. “The green area has been used by residents to enter and exit the development for a number of years in order for them to avoid the necessity of walking right round the area. “Initially there was confusion as to who owned this area and who was responsible for its upkeep. This meant that loose paving and the grass went unattended which posed a hazard to local people.